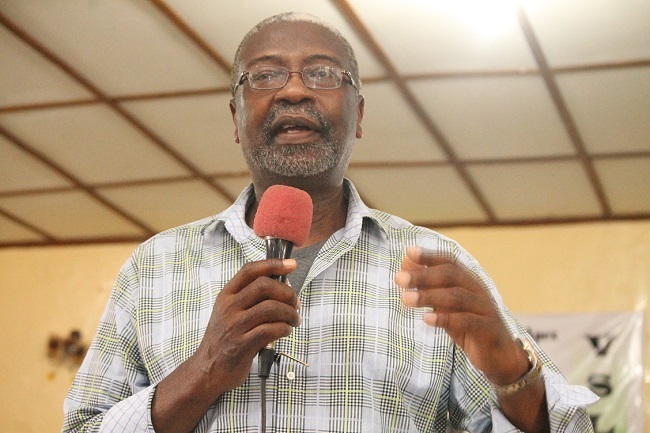 The executive governor of the Central Bank of Liberia Dr. Joseph Mills Jones has urged his fellow compatriots to change old habits by working hard and thinking big for growth of the country. 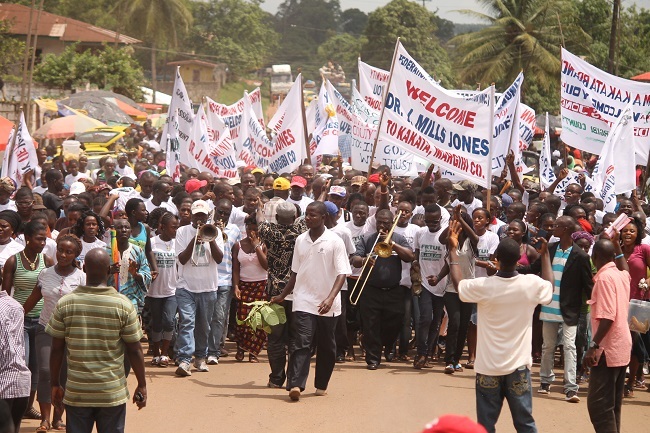 “Liberians should roll up their sleeves and work hard by getting to the farms, building factories that will produce. Engage in small business. 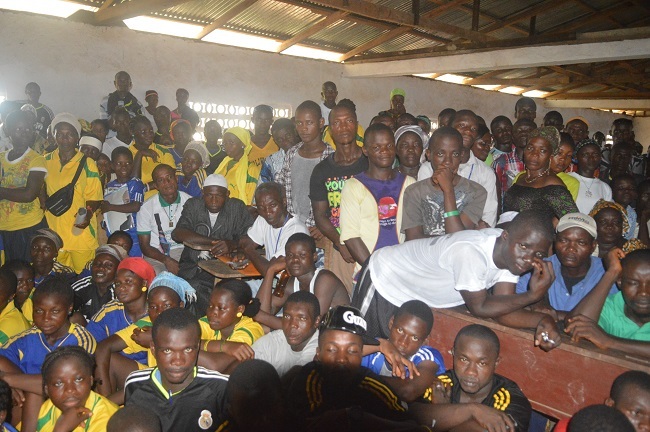 This will help significantly in changing Liberians standard of living,” he pointed out. Governor Jones made the statement in Margibi County when he served as keynote speaker for the First General Assembly of the Village Saving and Loan Association over the weekend. Dr. Jones said Liberians must be visionaries, adding that it is time for Liberians to think big to lift themselves out of poverty. 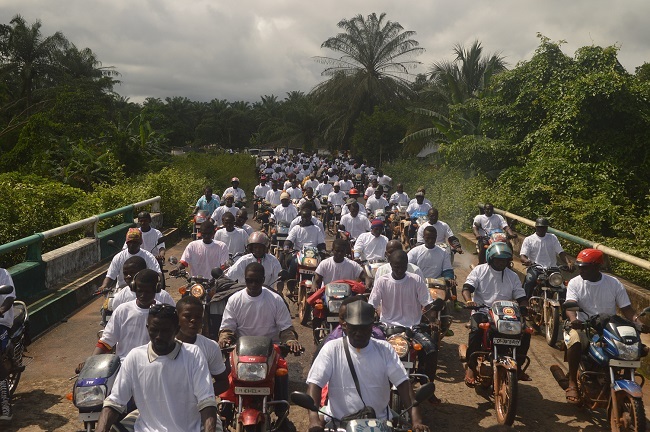 “It is not a fact that Liberian men and women should be poor and no gospel says that. Other countries have worked hard to improve their standard of life. Liberia can do the same,” he added. Speaking further, Dr. Jones said through the Village Saving and Loan Association, the women of Liberia can improve their living environment for their families. He said if Liberians must get a helping hand then they should be prepared to turn it to a productive hand into doing something better for themselves. “There are people who are doubting Thomas, there will always be somebody out there to doubt, but there is a popular song and hymn that says God moves in a mysterious way,” Dr. Jones said. Governor Jones emphasized that Liberians must work together and stand firm in putting Liberia first above personal interest if we are to grow. He encouraged Liberians to work in order to create wealth and a bigger path, not to be distributing poverty but how to distribute wealth, adding that Liberians should be thinking differently now. The president of the Village Saving and Loan Association of Margibi County Victoria Nagbe commended the CBL and Governor Jones for establishing the micro-loan program across Liberia. Ms. Nagbe praised President Ellen Johnson-Sirleaf’s administration for a well done job in making sure that the CBL loan outreach program empower Liberians, especially women. She said they will make sure that the association remains strong so that the women of Margibi County can be independent. She encouraged her fellow women to stay firm and work together in order to transform Liberia by kicking poverty not only from Margibi County but the whole of Liberia. Also, the CBL governor last Friday broke ground for the construction of a palaver hut in Tenii Town, Tewor District, Grand Cape Mount County in the west of the country. Speaking at the ground breaking ceremony Dr. Jones said the CBL is deeply interested in seeing Liberians take over their own economy. “We are trying to give you the change to work for yourselves. We give you the loans and you must pay back. We must break the idea that Liberians do not pay debts. We must show people that is wrong.” he pointed out. He said Liberians must be major players in the economy adding that Liberians must be in the full front of it. Tenii District Commissioner Haja Fahnbulleh commended Dr. Jones for coming to listen to the plight of the people. Mrs. Haja indicated that the people of Cape Mount are glad to be a part of the CBL family and are very hopeful that poverty will be defeated in the county.